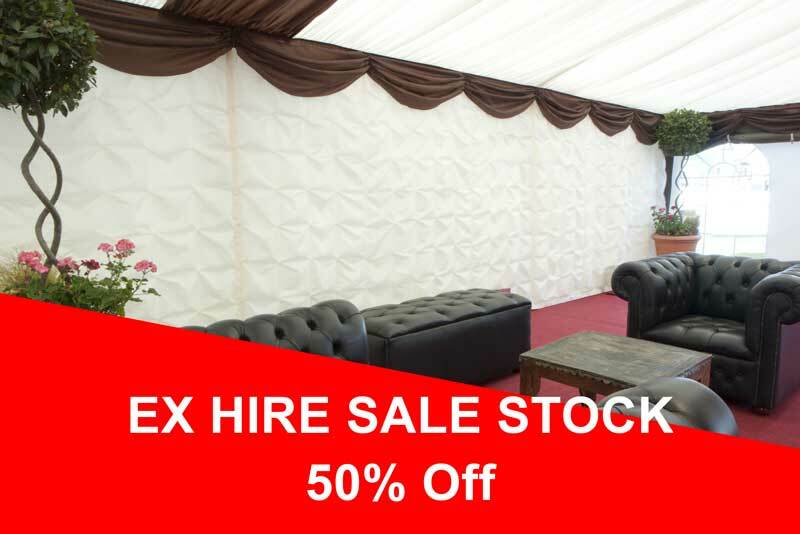 It's our annual Ex-Hire Sale, we are doing the yearly upgrade of our hire stock with all our linings hire stock greater than 4 years old being offered for sale at a reduced rate. We have just slashed the prices of our Ex-hire stock to 50% off list price, meaning you can add to your lining stock for half the list price! All the items listed below are available for sale are fully washed and in working condition ready for use, all starlight linings come with a box included. The sale will be dealt with on a first come, first served basis, so don't hesitate! Orders processed through our online shop can be collected from our Winchester Depot or shipped to UK Mainland. We can process other non-UK Mainland orders via our sales team, so please call them on 02380 335 744 or email sales@customcovers.co.uk. All online orders are sent via TNT, as our default courier. We use their express service, which is next day delivery across mainland UK (excluding Highlands, Islands and parts of Wales and Cornwall. Please see map below for more information). These rates applies to deliveries to the UK mainland only (excluding Highlands, Islands and Cornwall).